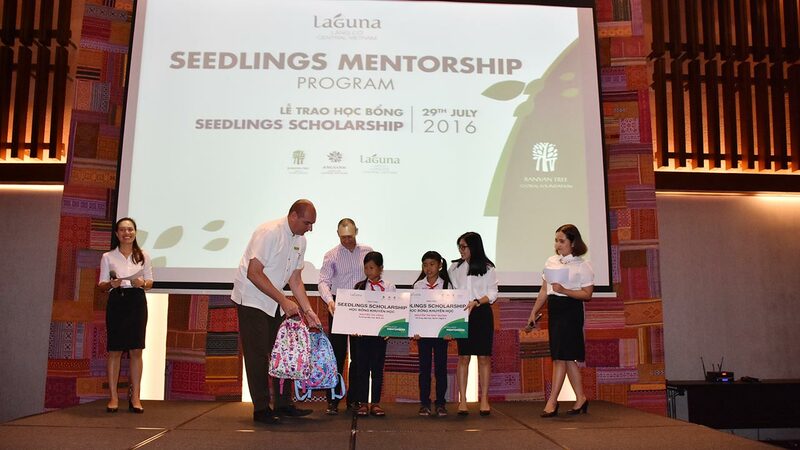 Let’s help the underprivileged children’s dream come true with Laguna Lăng Cô ! 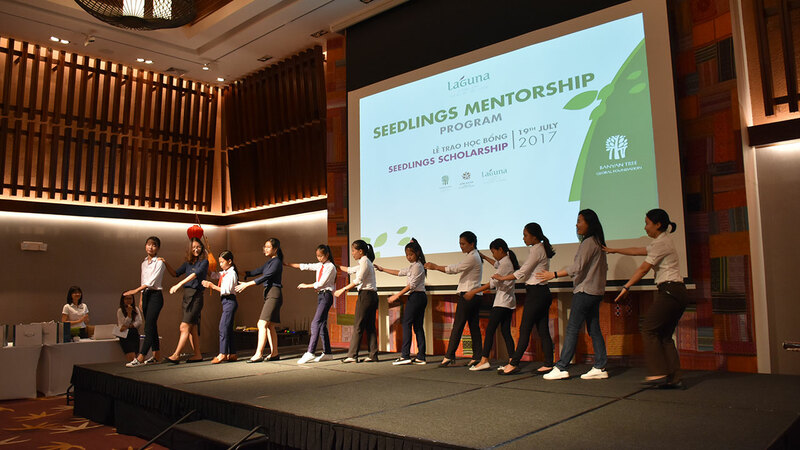 Seedlings Mentorship Program is a long term commitment of Banyan Tree group, giving underprivileged youths an equal chance of achieving their full potential in life. 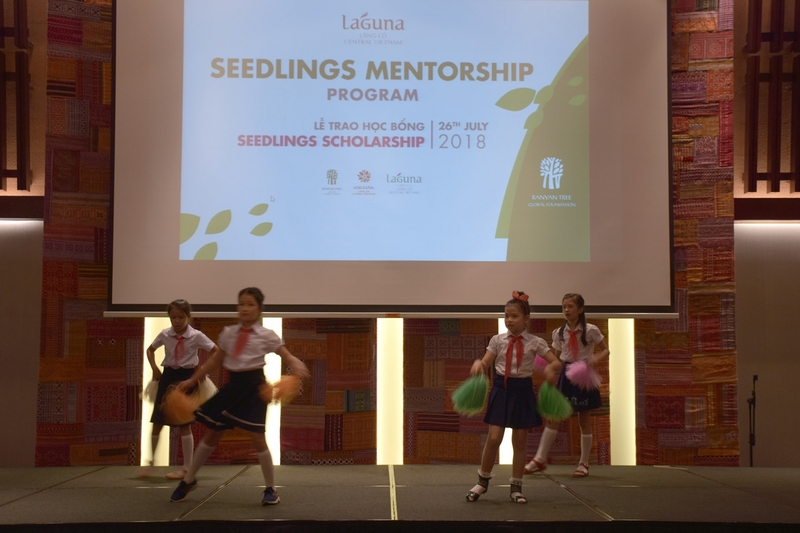 Follow the Group Initiative, Laguna Lăng Cô first launched this program in 2015 to support all school fees as well as school supplies, together with Laguna Lăng Cô associates acting as mentors who will guide and inspire the young students in their formative years until age 18. 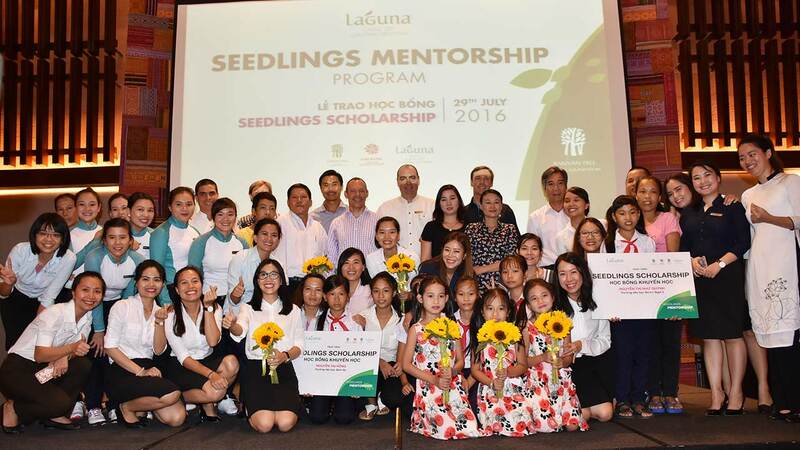 This program has long-term development values and will continue to take in new students in the coming years. 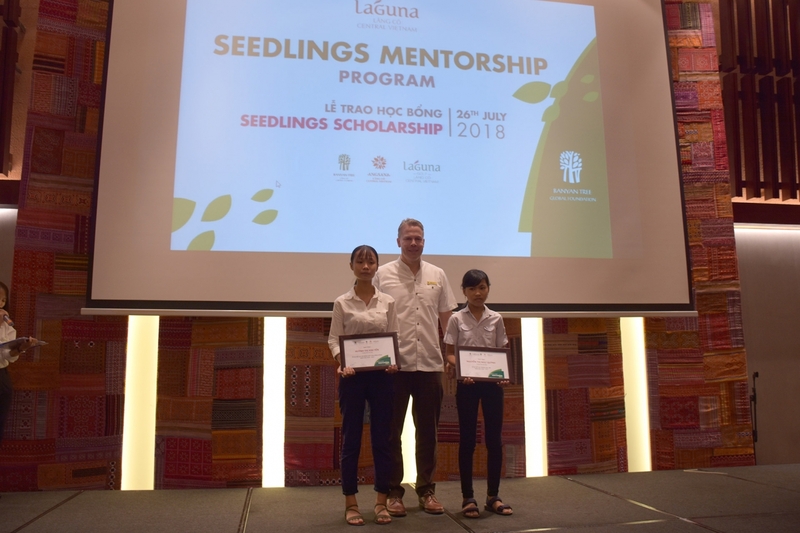 The Seedlings Mentorship Ceremony 2018 was held at the Angsana hotel on July 26. 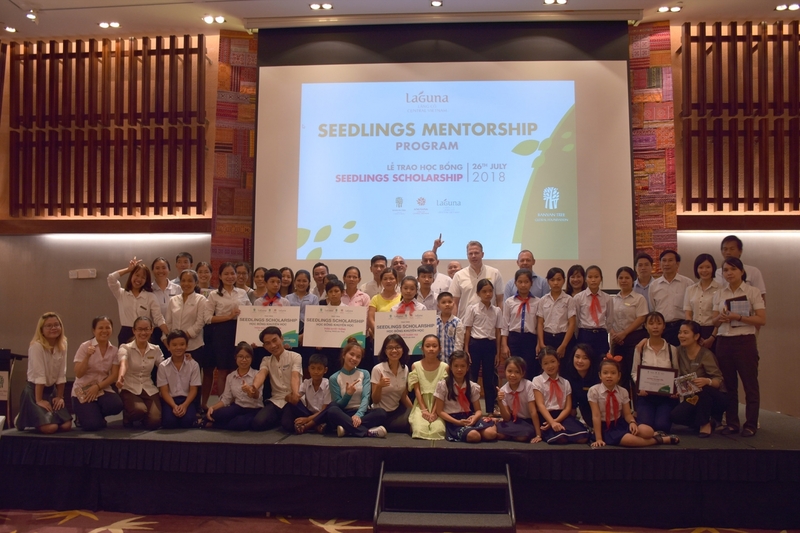 The event was a chance to look back on the development of the mentees and mentors over the last three years and to present scholarships to three additional children in disadvantaged circumstances. 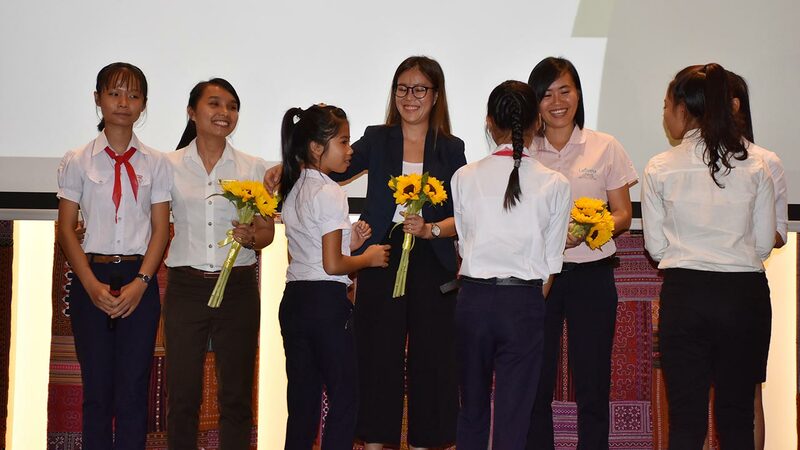 The event also welcomed representative from the Phu Loc Education and Training Department, local schools where our mentees are studying, Laguna Lăng Cô management and mentors from different departments who committed to support and mentor disadvantaged students in the coming years. 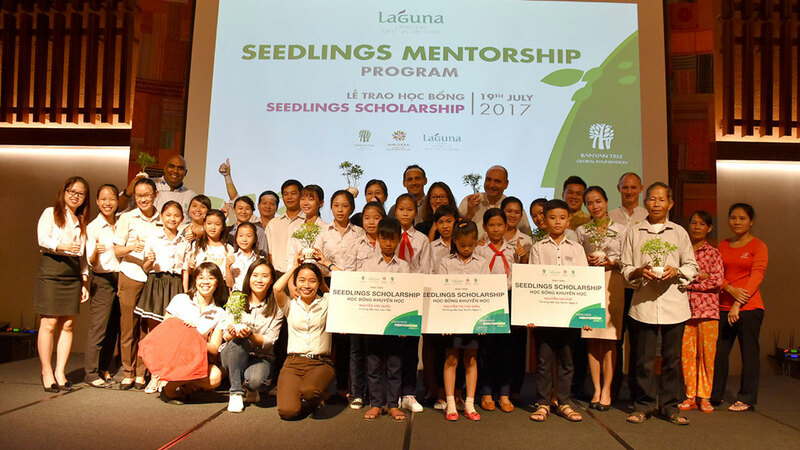 Since the first launched in 2015, 12 local youths with disadvantaged family background and in the high risk of leaving school benefiting from the program. 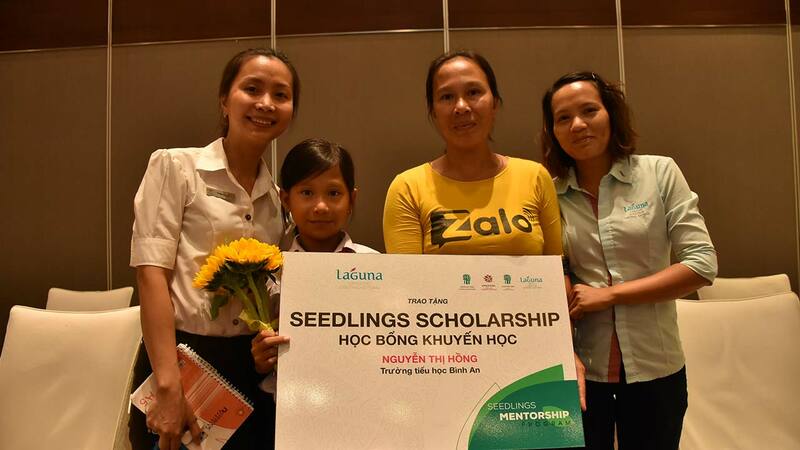 The 3rd Seedlings Mentorship program ceremony was held in Angsana Lăng Cô ballroom with full of touching moments. 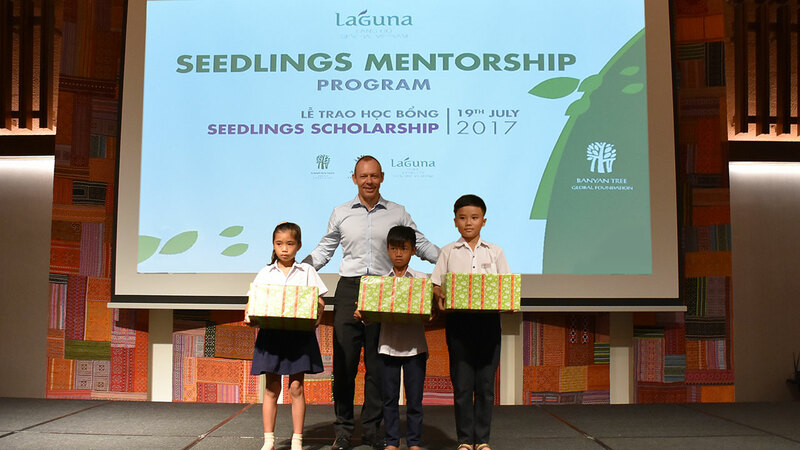 This year, the scholarships were presented to 3 more local underprivileged students aged 12, increase the number of students benefited to 9 since its first launch in 2015. 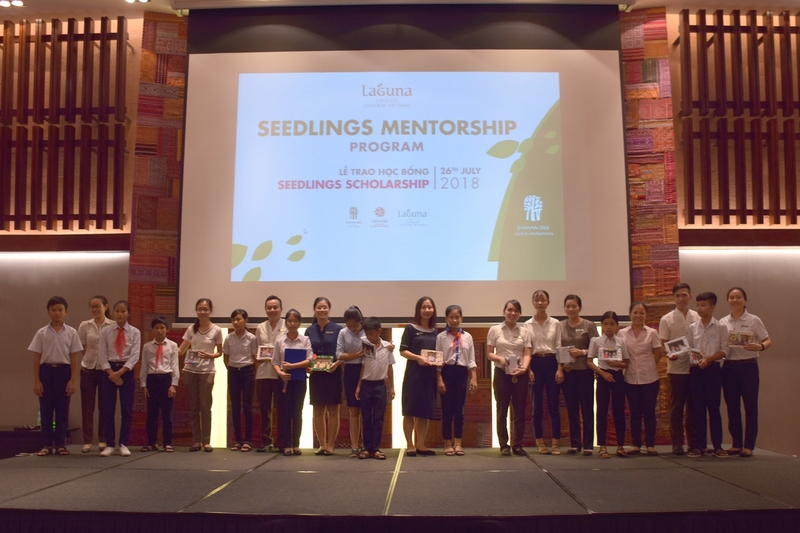 Also, 6 more qualified associates coming from different departments were selected as mentor’s role, accompanying with our students until the age of 18. 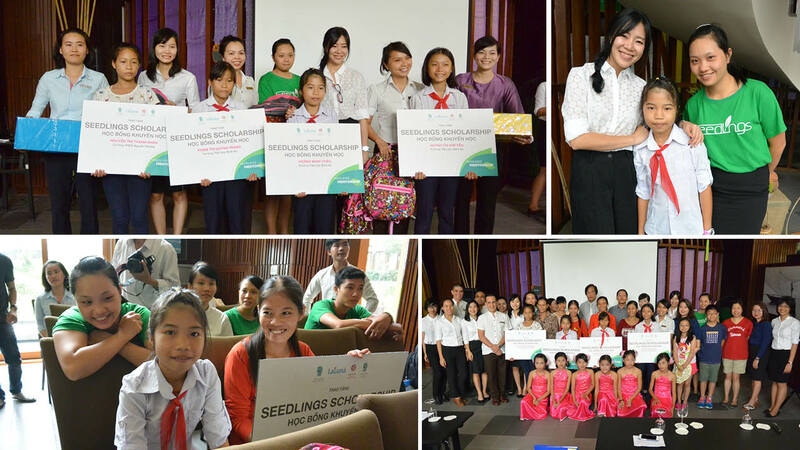 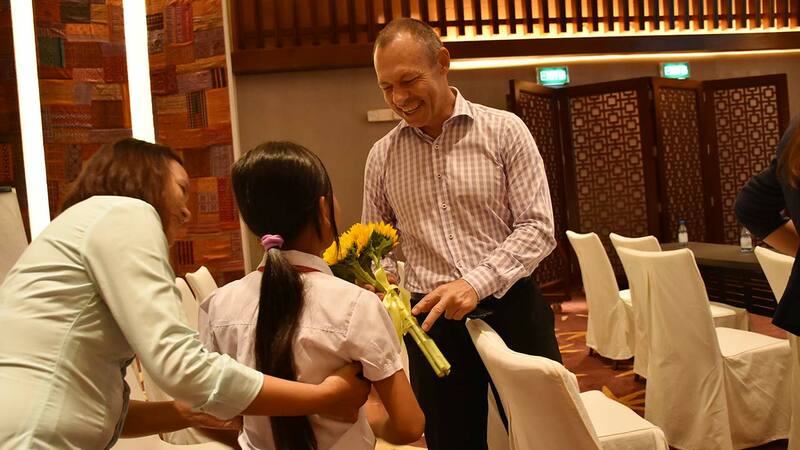 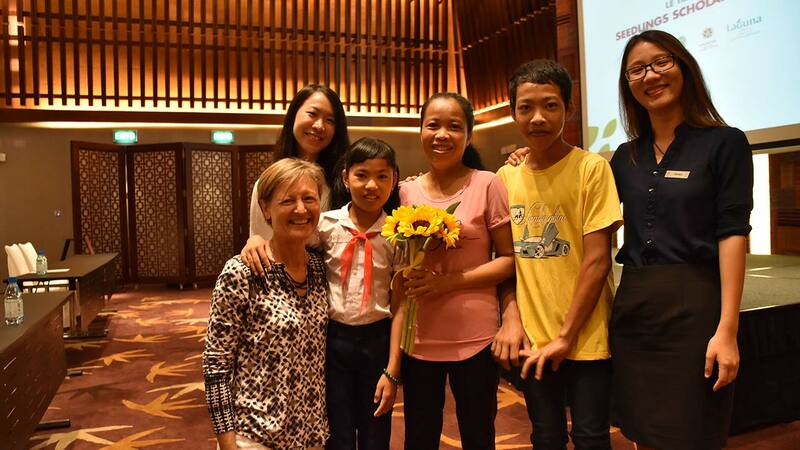 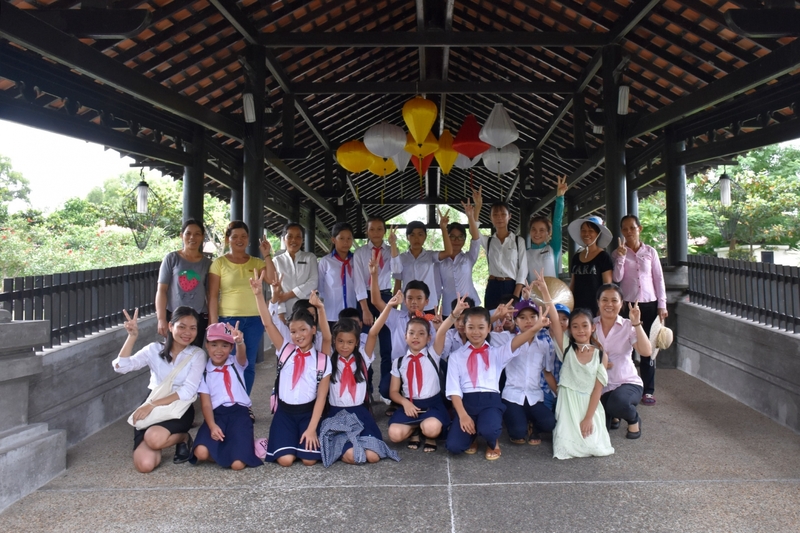 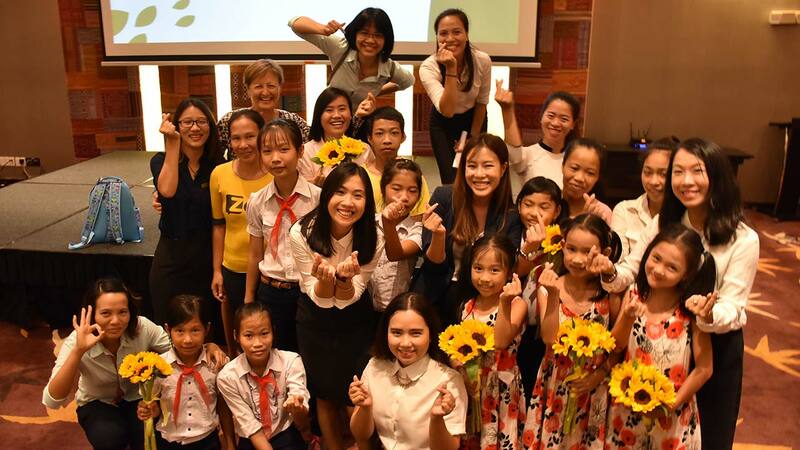 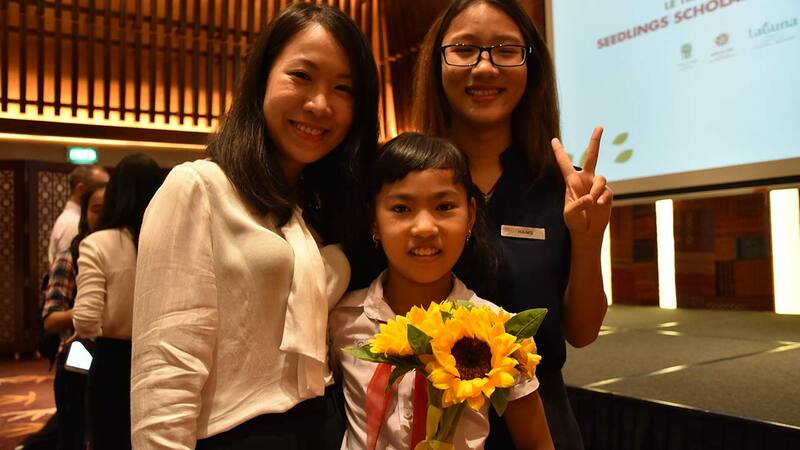 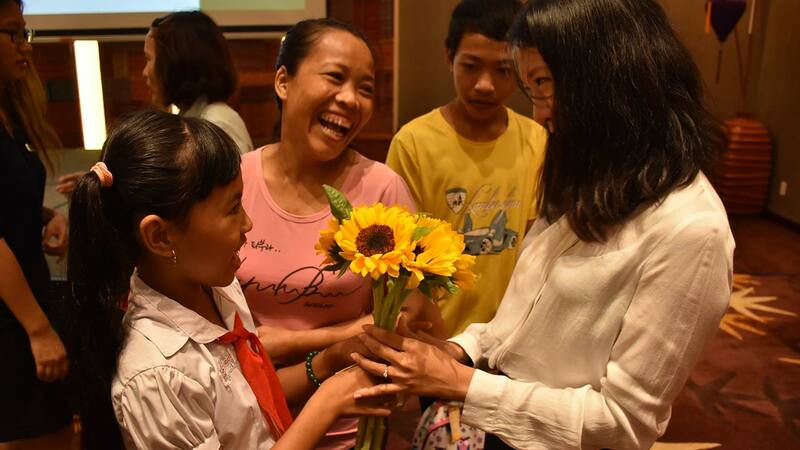 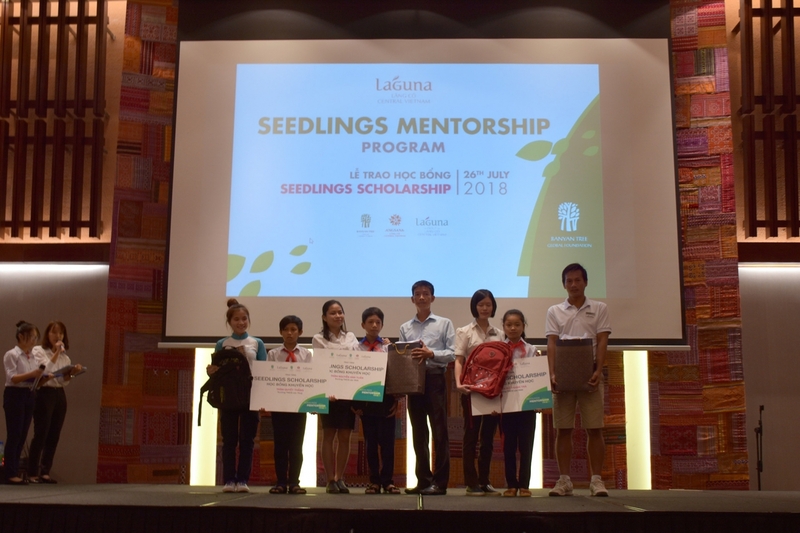 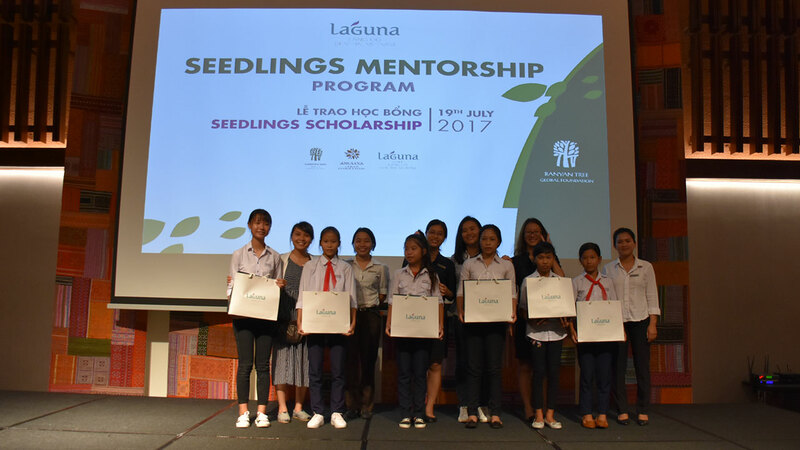 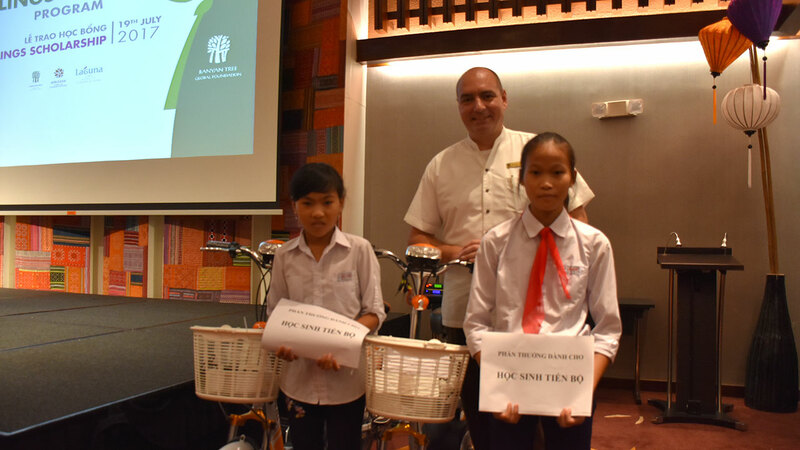 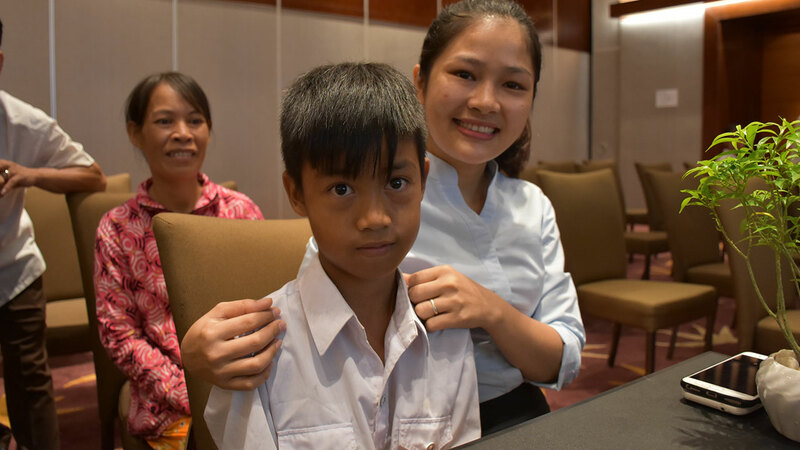 After the official 2015 launch of the Seedlings Mentorship scholarship program by Banyan Tree Group in Laguna Lăng Cô with 4 young students from Phu Loc and Kim Long, Thua Thien Hue, this year Laguna Lăng Cô presented the scholarship to 2 new students aged 12 from Nước Ngọt 2 and Binh An Primary school. 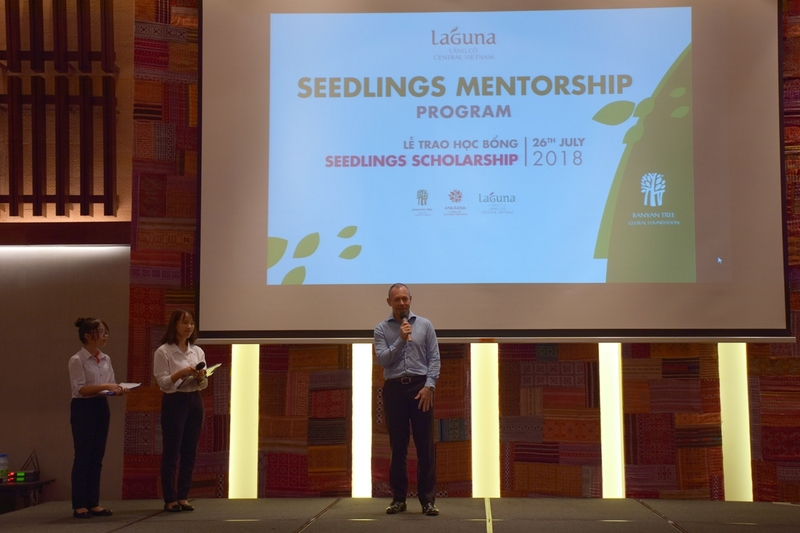 The program also chose 4 qualified associates coming from different departments as mentor’s role, accompanying with selected students until they complete the program. 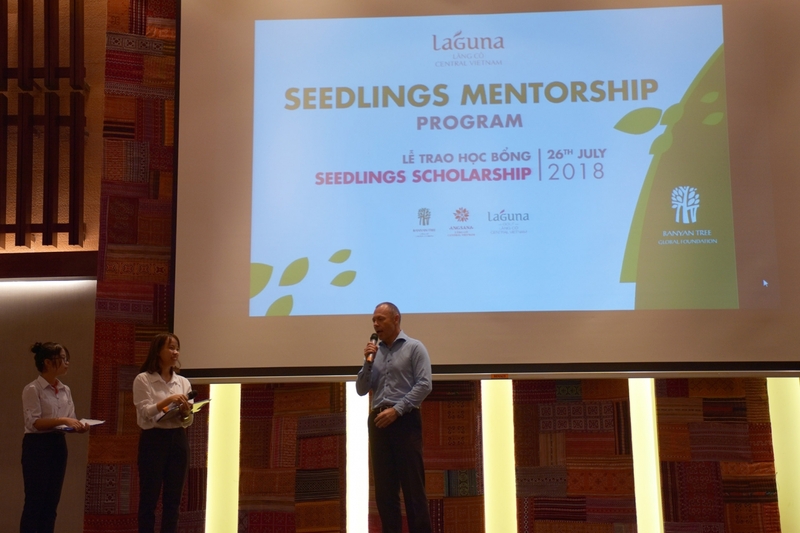 The program selected 8 qualified Laguna Lăng Cô associates with experience of guidance to be mentors for 4 marginalized youths aged 12 to 15 with difficult family backgrounds in Thua Thien Hue province. 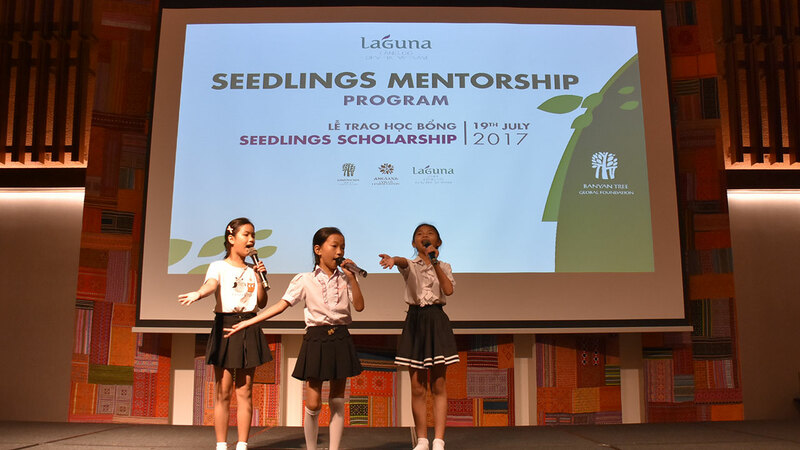 This year, Laguna Lăng Cô provided school fees for mentees’ new school year, conducted monthly visits to guide and inspire mentees in their studies, either by assisting them with any problem raised or providing extra tuition.